Haydn's most profound choral work is to be the focus of the next concert by Birmingham Festival Choral Society. Birmingham Festival Choral Society in action. The group of singers will perform The Seven Last Words of Our Saviour on the Cross by Haydn along with Missa Brevis by Kodaly during the concert. Conducted by Patrick Larley and with Kevin Gill on organ, the event takes place at the Elgar Concert Hall at Birmingham University at 7.30pm on April 5. Christine Wright, from Birmingham Festival Choral Society, said: "The Seven Last Words is Haydn's most profound choral work. In it we hear none of the bubbling and uplifting choruses of The Creation, The Seasons or his Masses, but an intense, deeply religious progression of predominantly chordal movements depicting Christ's final words from the cross. Meanwhile, Kodály's Missa Brevis is a lyrical and highly romantic gem from one of the most inventive of choral composers." Birmingham Festival Choral Society dates back to 1843 and was created for the Triennial Music Festivals, which raised money to establish and run a General Hospital in Birmingham. The success of the festivals led to Birmingham Town Hall being built to accommodate them. Performing a wide range of choral music, the group holds concerts and tours regularly. 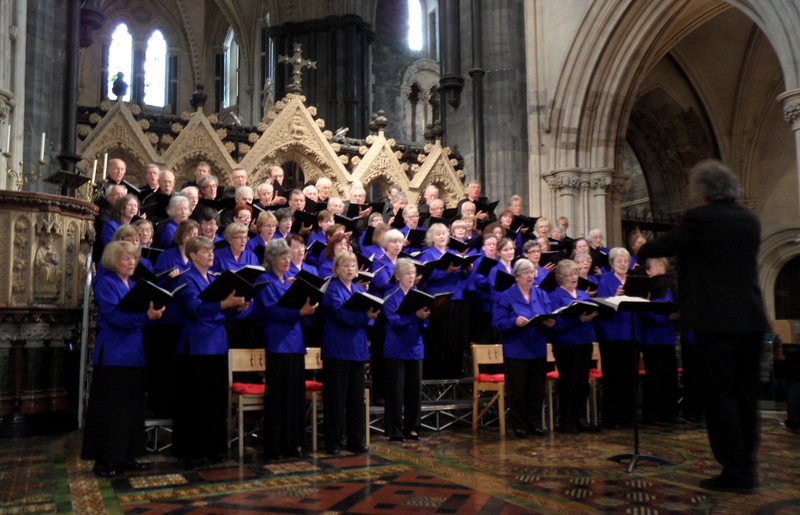 Previous concerts have been staged in memorable venues such as Tewkesbury Abbey and Christ Church Cathedral in Dublin, and tours have taken singers to Slovakia, Estonia and Slovenia. Singers meet every Wednesday from 7.15pm to 9.30pm at the Octagon at Edgbaston High School, in Westbourne Road, Edgbaston, Birmingham, in order to share the enjoyment of singing with each other and their audiences. Anyone interested in joining the society should email the society on concerts@bfcs.org.uk or send a message through the society's website. Tickets cost £14 or £12 concessions and £7 students. They are available on the door.